Home / Uncategorized / How To Squeeze in Golf Practice at Work! As an independent instructor, I can relate to other coaches that find it hard to teach students located all over the city when they can not come to you. I can also connect to the instructors that are trying to make a name for themselves in the industry but do not have a course that will allow them to teach. A majority of amateur golfers stay clear of professional coaching/instruction due to 2 major complaints. Complaint #1 – They do not have the time to practice or get to the lesson after work. Studies have shown that 80% of casual golfers cannot make it to the local driving range to take a lesson after working hours. This is either due to travel time or limited amount of daylight remaining in the day, for the ranges that do not offer light. Complaint #2 – In most cases, amateur golfers do not see the value in a professional lesson, so they decline to pay for them or make excuses that they cost too much. What if there was a way to bring the instruction to your students/client? What if we could take time, travel and location out of the equation? Is there a better way to make affordable lesson packages for every golfer looking to get a professional lesson or a place to practice? We bring the trailer to your clients/students neighborhood or work. This eliminates the first complaint by having our golf simulator right outside of your client’s work. The student does not have to travel that far to get to the trailer for their designated time slot. What about the clients that do not get out from work until after sundown? The Street Swings golf simulator trailer is equipped with lighting that can allow practice and coaching lessons well into the night. Golf is expensive, and we understand that spending an additional $250 a month on private lessons steers people away from working on their golf game. Our Street Swings team is here to help each customer with our various coaching packages that will make it affordable for every student. 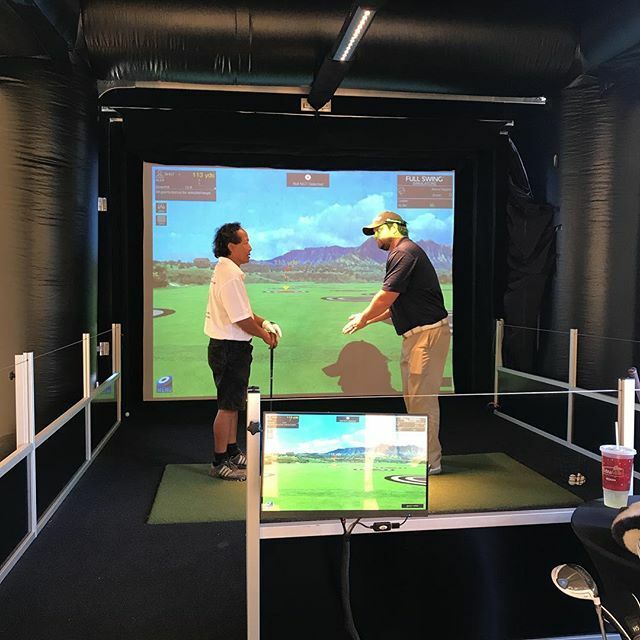 With the ability to bring the practice facility to you at an affordable price, it will give flexibility to golf coaches and the golf student whole growing the game of golf at the same time.